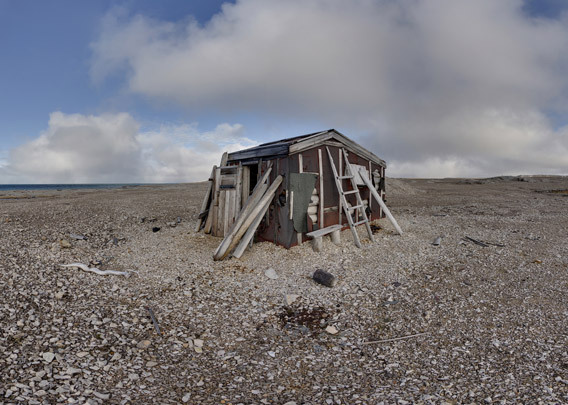 Caribou is a bit west of Kinnvika, on the coast of Hinlopen Strait. The name seems locally unusual, seemingly indicating north American influence. It was built in 1972 by the Norwegians Fredrik Rubach and Odd Ivar Ruud, father and son, who wintered there subsequently to hunt polar bears. Polar bears were completely protected in Spitsbergen in 1973, and this was accordingly the last wintering of hunters on Nordaustland. 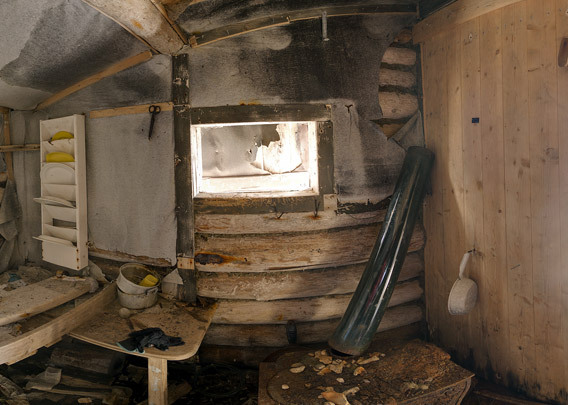 Unfortunately, the hut is deteriorating, as you can see on the indoor panorama here, which was taken in 2013.